How We Celebrate When Hayley Paige Comes to Denver! Only weeks ago, anna bé had the honor of hosting a trunk show with the one and only Miss Hayley Paige! 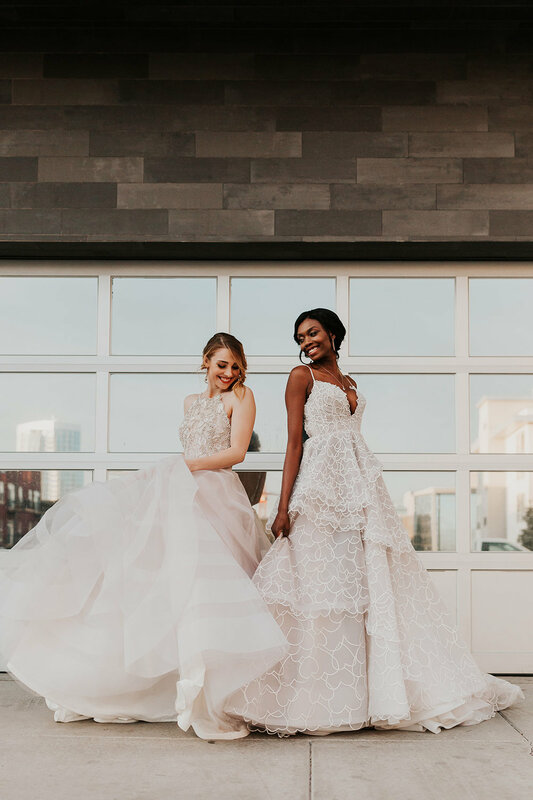 It's no secret the #annababe family are all fan girls of Hayley and her stunning and inventive designs, so when we heard she was coming to town for the show we couldn’t pass up the opportunity to celebrate with all our past, present, and future brides. 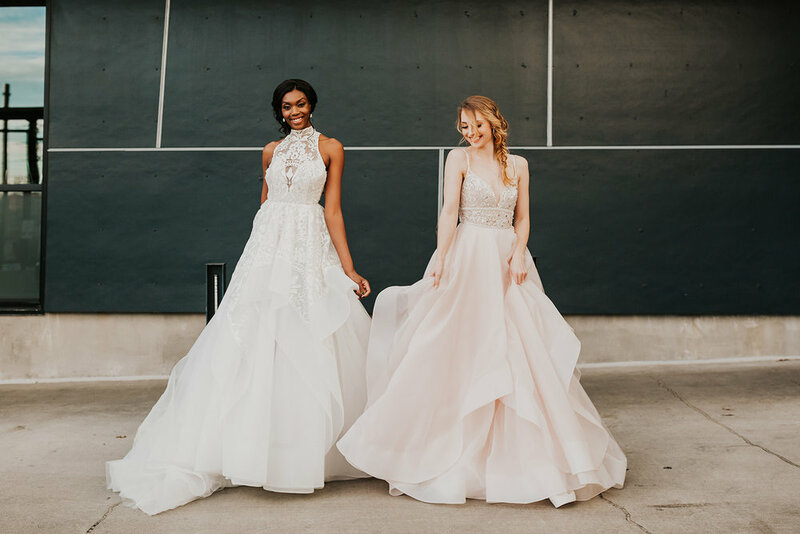 If you are a fan of 'Say Yes to the Dress' or have scrolled through instagram lately (basically if you haven't been living under a rock), you’ve likely come across the bubbly bombshell behind the fabulous bridal collections Hayley Paige and Blush. 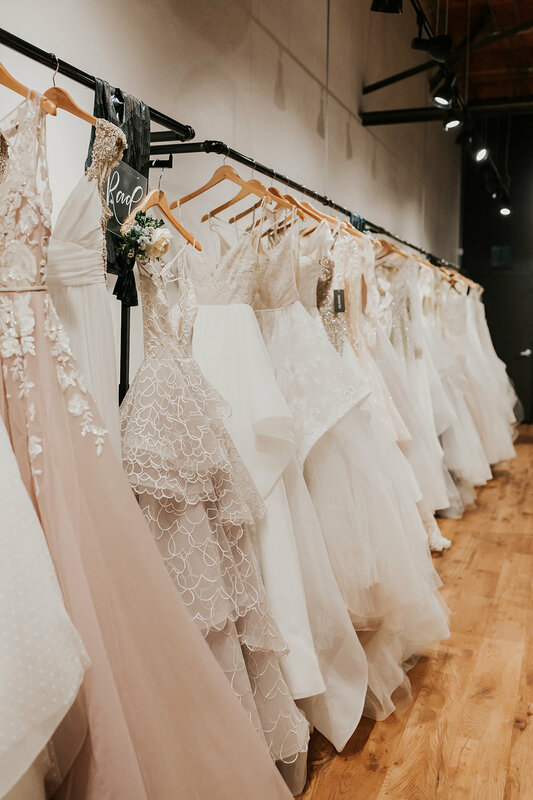 Hayley herself truly does embody these feminine, fun, and free-spirited brands, and it was no surprise that our awesome Denver bridal community came out in full force to show her love. Hayley Paige gowns are designed and made in New York City, and have a classy, feminine feel with a touch of edge and sass. Whether you’re a classic ballroom bride or modern mountain backdrop bride, you're sure to find a flattering fit for any body shape in the Hayley Paige and Blush By Hayley Paige collections. The newest Spring 2019 collection (that we got to see during the amazing Trunk Show!) won’t hit stores until April/May 2019, but during our event anna bé brides had the opportunity to see the entire collection in person. Yes, it was a dream! 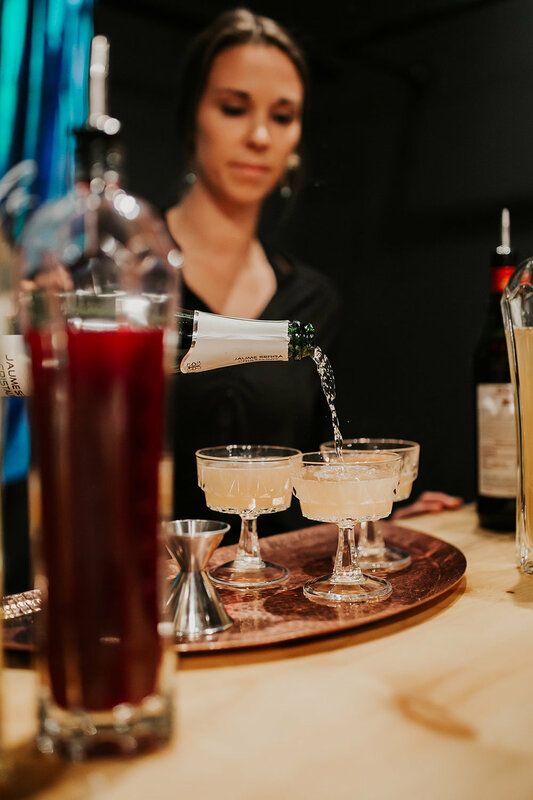 To celebrate this special occasion, we teamed up with Couture Colorado and the ever-so-talented duo from Brindle and Oak to bring our brides an evening they’ll have sweet dreams about for the rest of their lives. The evening started with a breathtaking photoshoot by Meredith Soy Photography. The dresses looked stunning on our model babes, and their looks were completed by L Style Bar (hair and makeup) and local jeweler, Sarah O. Jewelry! Guests were welcomed in from the cold to our anna bé shop, which was transformed into a whimsical, romantic fairytale brought to life by Brindle and Oak Planning and Project Floral. Every detail of the evening was magical! Guests were awestruck by the talent, heart, and beauty brought to life by all our vendors. Jay Davis Bags created a custom handbag that was inspired by the Hayley Paige collection that one lucky bride and Hayley Paige got to take home! Jay Davis also adorned our entryway with a custom wall hanging that we still can’t get over. Delicious treats and cocktails were provided by GB Culinary and we’re still drooling over the brilliant flavor combinations. And can we please talk about the 30th Ave cocktail that was inspired by our brand new location? How sweet (literally) was that?!?! One of our favorite details of the evening were custom greeting cards by Pixie Chicago, gifted to every bride in attendance and printed with holographic unicorns. A sweet saying put a smile on every bride’s face. Hayley Paige and one lucky bride even walked away with a custom print of the Denver skyline. Hello, that’s amazing! No party is complete without a great band, and we all swooned over the acoustic stylings of John from Hipster Momma Productions. Best band name ever? We think so. The evening was topped off by some amazing giveaways, because at anna bé we love to share the love. (And so do all of our friends!) Giveaways included a stunning rose gold necklace from Sarah O. Jewelry, a Four Seasons spa package from James Berkley Realty, and the cherry on top; custom gown sketches for every bride who found her dress, drawn by Hayley herself! We are so lucky to work in such an amazingly talented, generous, and fun community. We can’t wait for the next reason to celebrate!